Josh Taylor claimed the biggest name on his record so far this weekend in Victor Postol but was made to work hard for the victory. Credit should be given mind you for Taylor stepping in there with someone of Postol’s caliber this early on into his professional tenure. Taylor won the WBC final eliminator after the hardest fight of his career that saw him drop Postol and win a unanimous points verdict in the end. Although the scorecards didn’t really reflect how close the bout was mind you. It was the first time Taylor had been taken past nine rounds in his career (13-0-11KO). 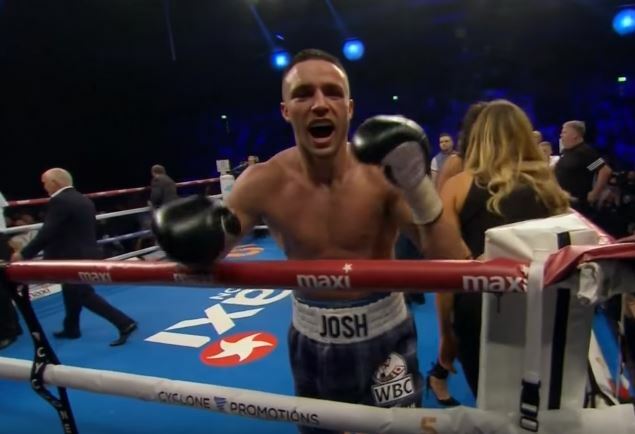 If Josh Taylor signed with Eddie Hearn he’d be on the Whyte/Parker undercard against an uber taxi driver from Austria. Poor Victor Postol never had a chance did he.